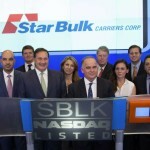 Star Bulk, a global shipping company focusing on transportation of dry bulk cargoes, announced that it has entered into definitive agreements to acquire eighteen dry bulk vessels in two all-share transactions. Fifteen of the vessels will be acquired from Songa and three of the vessels will be acquired from Oceanbulk Container Carriers LLC. The consideration for the vessels was determined based on average vessel valuations by independent vessel appraisers. The Company has agreed to issue an aggregate of 13.725 million common shares and pay $145 million in cash for the acquisition of all of Songa’s fifteen modern dry bulk vessels. The cash portion of the Songa consideration will be financed through proceeds of a new five-year capital lease of $180 million with China Merchants Bank Leasing with a margin of 280 bps, thus offering approximately $35 million of additional liquidity for Star Bulk. The Songa Vessel Purchase Transaction remains subject to, among other things, the approval from the general meeting of Songa with a 2/3 majority of the votes cast and other customary closing conditions. Companies controlled by Arne Blystad, Magnus Roth and Herman Billung, in total representing approximately 29% of the shares of Songa, have committed to vote in favour of the Transaction on terms customary for such undertakings. The Songa Vessel Purchase Transaction is expected to close by the third quarter 2018. Upon completion of the Songa transaction, Mr. Arne Blystad will be appointed to the Board of Directors of the Company and Mr. Herman Billung will join the management team of the Company, contributing his ~30 years of dry bulk and capital market experience. Songa is expected to distribute the Songa Consideration Shares to its shareholders following closing of the transaction. As a result of the contemplated transactions, shareholders of Songa are expected to own approximately 14.9% of the outstanding common shares of the Company and the pre-existing top 5 shareholders of the Company would own approximately 38.7%, 4.4%, 3.9%, 1.0% and 1.0% of the outstanding common shares of the Company, respectively. 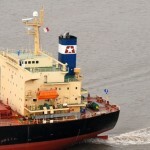 Contemporaneously with the closing of the Songa Vessel Purchase Transaction, the Company intends to apply for a secondary listing of its common shares for trading on Oslo Børs, a regulated stock market operated by Oslo Børs ASA of Norway. The Songa Consideration Shares will be restricted from trading in the U.S., including through the Nasdaq Global Select Market, for a period of six months following the distribution of the Songa Consideration Shares to the Shareholders of Songa unless they are sold pursuant to a transaction exempt from, or not subject to, registration under the Securities Act of 1933, as amended. 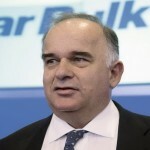 Clarksons Platou Securities is serving as financial adviser to Star Bulk and Songa. 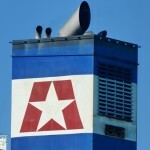 Additionally, the Company announced today that it has agreed to acquire three (3) newbuilding Newcastlemax dry bulk vessels in an all-share transaction (the “OCC Vessel Purchase Transaction” and together with the Songa Vessel Purchase Transaction”, the “Vessel Purchase Transactions”), from Oceanbulk Container Carriers LLC (“OCC”), an entity affiliated with Oaktree Capital Management L.P. and with family members of our CEO, Mr. Petros Pappas. Under the terms of the agreement with OCC, the consideration is determined based on the average vessel valuations by independent vessel appraisers. The OCC Vessel Purchase Transaction have been approved by the disinterested members of the Board of Directors of the Company, based upon the recommendation of a transaction Committee of disinterested directors established by the Board of Directors of the Company, which considered the OCC Vessel Purchase Transaction in coordination with the Company’s management team. The OCC Vessel Purchase Transaction, which is expected to be consummated in the second quarter of 2018 remains subject to customary closing conditions. The three (3) vessels are being constructed at Shanghai Waigaoqiao Shipbuilding Co. (SWS), with expected delivery dates in first quarter of 2019. Under the terms of the OCC Vessel Purchase Transaction the Company will issue to the OCC shareholders an aggregate of 3.39 million common shares of Star Bulk (the “OCC Consideration Shares”), which are subject to adjustments for cash, debt and capital expenditure on the closing date. CSSC (Hong Kong) Shipping Company Limited has agreed to provide $104.4m to finance the remaining $103.8m capital expenditure of the three vessels via a ten-year capital lease. 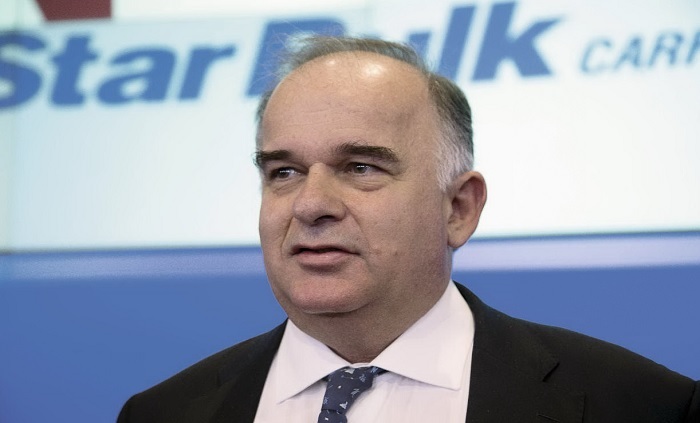 After giving effect to the Vessel Purchase Transactions, Star Bulk will have a fleet of 108 vessels on a fully delivered basis, aggregate cargo-carrying capacity of approximately 12.26 million deadweight tons and vessels with an average age of 7.1 years. The Songa Consideration Shares and the OCC Consideration Shares have not been and will not be registered under the Securities Act of 1933, as amended (the “Act”), and may not be offered or sold in the United States absent registration or an applicable exemption from the registration requirements under the Act.